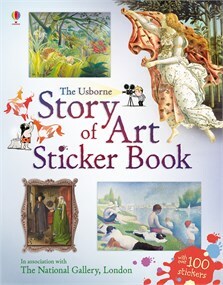 From cave paintings to modern masterpieces, discover the history of art in this beautiful sticker book. Each page is filled with fascinating facts about the pictures and artists, and there’s a timeline showing the history of art, plus links to websites where you can tour art galleries. Published in association with The National Gallery, London.